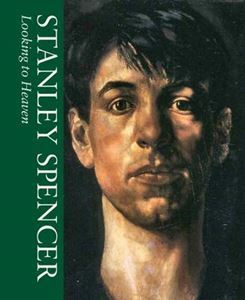 Quick overview Stanley Spencer is one of the most important, original and admired British artists of the 20th century. None of this work has ever been published before - all the material is new and has been extracted from Spencer's notebooks and diaries. Stanley Spencer KBE CBE RA (1891 - 1959) is one of the most important and influential 20th century English painters. His paintings are detailed and vibrant and very often depict his deep but eccentric Christian beliefs. Spencer was born in Cookham in Berkshire and remained in the surrounding area for the rest of his life and is buried in Cookham churchyard.As a volunteer in the Army Medical Corps during WWI Spencer was sent overseas and the war had a profound effect on his work. One of his greatest achievements were the murals painted in the Sandham Memorial Chapel in Burghclere,inspired by his war service and showing realistic scenes of everyday life in a war zone, with dreamlike visions drawn from his imagination. His large oil on canvas 'The Resurrection,Cookham' was described as 'the most important picture painted by any English artist in the present century' by The Times art critic in 1927. Set in the grounds of the Holy Trinity Church in Cookham it shows Spencer's friends and family emerging from graves watched by God, Christ and the saints.Throughout his life Spencer kept a series of journals, noting things down and sketching the things around him, and these journals are now in the Tate Gallery Archive. This book is the first of a three volume set where these journals (though abridged) are published for the first time. The journals give an insight into how Spencer thought and how he worked.Spencer received numerous awards and great recognition throughout his life and was knighted in 1958.